This title is also available as Ebook. In the rough mountainous midlands of Eldvar, two city states have been waging a war that has lasted for generations. Desperate to bring an end to the war with themselves coming out on top, one city escalates the conflict through the use of dark magic, setting off the largest war the lands have ever seen as other forces are dragged in to defend their own homes from the ensuing violence. Throughout this, the animal-like wildling Estin finds himself driven from the city that is the only home he has ever known. He must flee the relative shelter to escape the very forces that seek to continue the war and would willingly drag him into it with them. 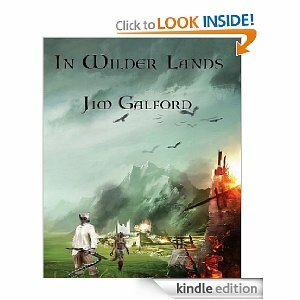 Driven into the wilds, Estin has no choice but to put some degree of trust in those he would least expect to travel with: A fox wildling whose goals and motivations he often cannot even guess at, a dwarf who swore to murder him for money, and a mixed group of gypsies and other wildlings who have no stake in Estin’s survival. Estin must decide what he is willing to do and become, as well as who to trust if he is to survive the war, once it reaches the wilder lands where he now must learn to live.